Joe Scarborough—former Republican congressman and the always insightful host of MSNBC’s Morning Joe—takes a nuanced and surprising look at the unexpected rise and self-inflicted fall of the Republican Party. Dominant in national politics for forty years under the influence of the conservative but pragmatic leadership of Dwight Eisenhower and Ronald Reagan, the GOP, Scarborough argues, is in a self-inflicted eclipse. The only way forward? Recover the principled realism of the giants who led the party to greatness. In the aftermath of Lyndon Johnson’s 1964 landslide, the Republican Party appeared to be on the verge of permanent irrelevance. LBJ’s Great Society was institutionalizing sweeping liberal reforms, and the United States had a thriving, prosperous economy. Yet in an instant everything changed, and the next four decades would witness an unprecedented era of Republican ascendancy. What happened? In The Right Path, Joe Scarborough looks back in time to discern how Republicans once dominated American public life. 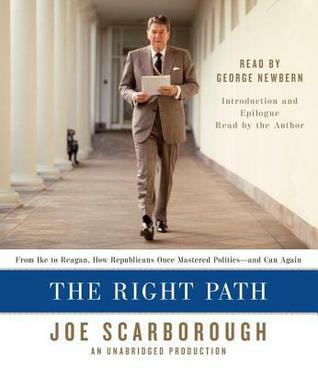 From Eisenhower’s refusal to let “the perfect be the enemy of the good” to Reagan’s charismatic but resolutely practical genius, Scarborough shows how principled pragmatism, combined with a commitment to core conservative values, led to victory after victory. Now, however, political incalcitrance is threatening to turn a once-mighty party into a permanent minority. Opening with the passage of the Voting Rights Act in 1965—the high-water moment for liberalism—and ending with the national disillusionment that set in after Hurricane Katrina ravaged New Orleans, The Right Path effortlessly blends American political history with astute analysis and pithy, no-holds-barred commentary. Both a bracing call to arms and a commonsense history, The Right Path provides an illuminating look at conservatism and its discontents—and why the GOP must regain its former tone and tradition if it hopes to survive. This is a political book and a history book as well. Maybe a little of both. He starts off by saying that the republican party has lost their way and peoples votes because of a lack of guidance and thinking that or by actions of a Republican President of not caring, not caring for the people of the country. When Hurricane Katrina hit New Orleans, there massive destruction. But for what seemed liked days there was no response by the federal government and he compared this to the watts riots in L.A. when Gov. Pat Brown was in France and felt that he did not need to come back to California right away. For me that was a good point to make because after the riots and the governor coming back and having to deal with a new republican in the upcoming elections. What people forgot is Pat Browns campaign worked to make election against him and then he lost to a no name Reagan, who later would be President and who people compare new republicans to. He also compared that after Johnson was elected saying he would not increase our involvement in Vietnam we actually increased the amount of troops sent there. This was compared to Bush and our fighting in Afghanistan which everyone for the most part was for, supported. Then invaded Iraq this lead to disillusionment, lack of trust in the office and of the Republican Party. Combined with the massive fool up with Katrina the people of the United States were tired and felt that the party had lost touch with them. By him making all of these correlations and going back to the sixties and what happened during that it made sense to me. I could to see what the author was trying to get me to see. For after Johnson we had Nixon who no one thought would be there after two defeats, President, and Governor of California. Now he is elected even after he resigns you only had a Democrat for four years then Reagan for 8 and Bush for four. If you go back a little farther you had Eisenhower throughout the fifties. Even though I could agree with him on the way the party went down or has severed. Who knows if they can make it back any time soon because for me they need young blood and ideas that are more for everyone. Who knows? 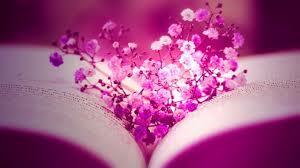 I liked the book for the most part. I got this book from net galley.